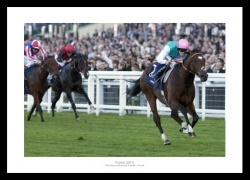 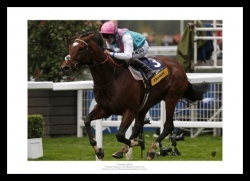 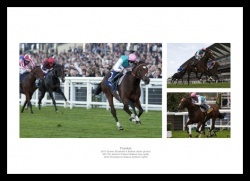 Tom Quely rides Frankel to victory. 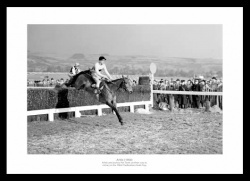 Arkle ridden by Pat Taafe on his way to victory. 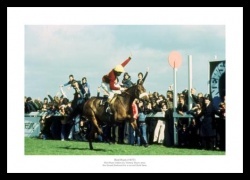 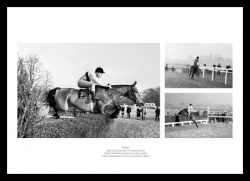 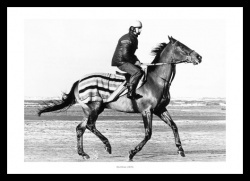 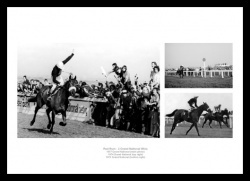 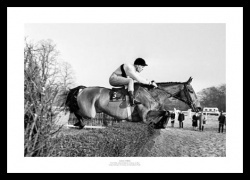 Pat Taffe rides Arkle to victory in the 1965 King George V1 Chase at Kempton Park. 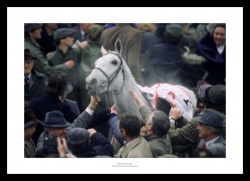 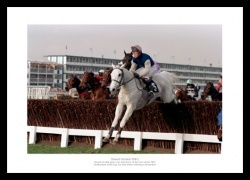 Desert Orchid on his way to the winners enclosure. 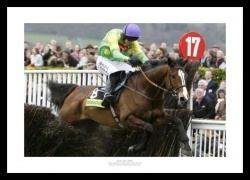 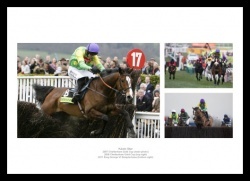 Ruby Walsh rides Kauto Star as they clear the final fence to win the 2007 Cheltenham Gold Cup. 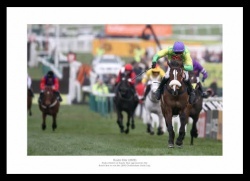 Ruby Walsh & Kauto Star approach the finish line. 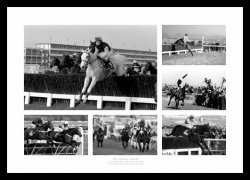 Montage celebrating some of the national hunt racers. 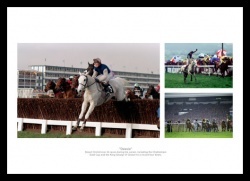 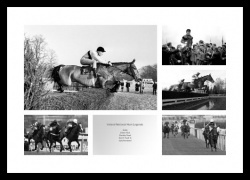 Montage celebrating some of Irelands greatest national hunt racers. 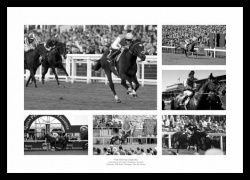 Montage celebrating some of the greatest flat racers. 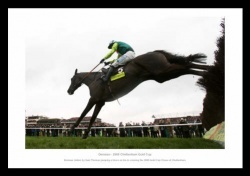 Denman jumps his way to victory. 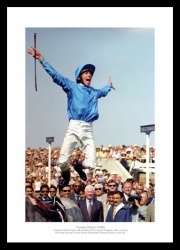 Frankie Dettori celebrates at Ascot. 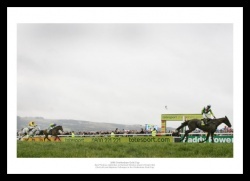 Denman beats rival Kauto Star to the line.